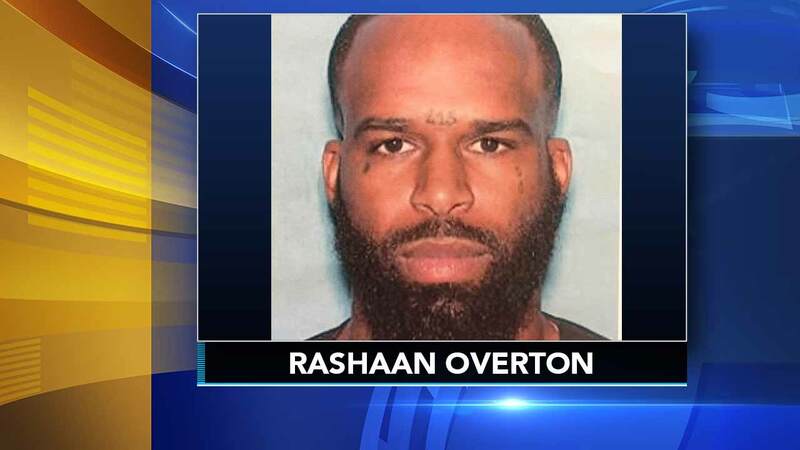 DARBY, Pa. (WPVI) -- Police in Darby Borough are searching for a man who is allegedly connected to a homicide in Darby Borough, and a shooting that was apparently in retaliation. The person of interest has been identified as 26-year-old Rashaan Overton from Darby Borough. Authorities were called to North 6th Street and Greenway Avenue around 10:40 p.m. Friday for the report of a shooting. Arriving officers discovered a 26-year-old suffering from multiple gunshot wounds. The victim was taken to Penn Presbyterian Medical Center where he was pronounced dead. Detectives are speaking with witnesses and reviewing surveillance video from nearby locations. Then, shortly before 7 a.m. on Christmas morning, Darby police were sent to the 200 block of North 9th Street for shots fired. Upon arrival, police discovered a home that was shot multiple times by numerous shooters. Police say the home has a direct relation to Overton. They say this second shooting is a clear retaliation to Friday's homicide. Anyone with information regarding on the shootings or Rashaan Overton should call the Darby Borough Police Department.